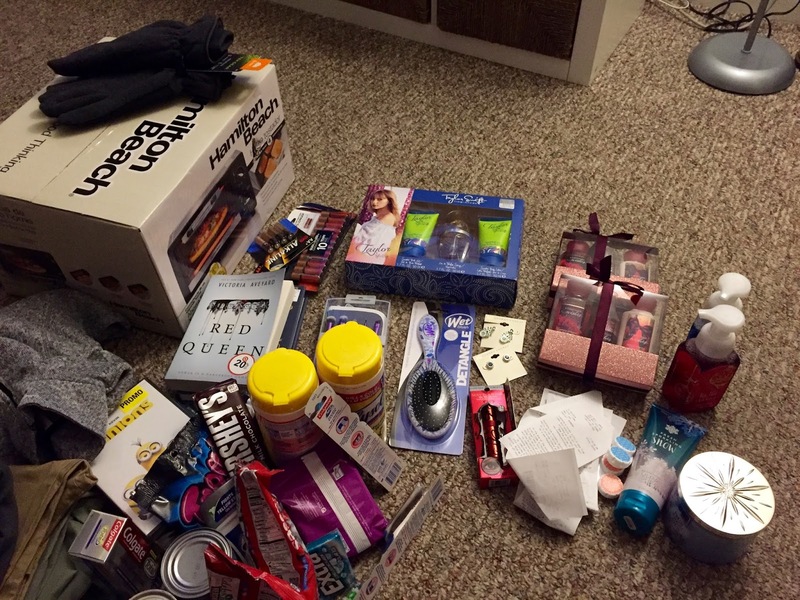 Balancing On My Toes: Black Friday Haul! We decided to head out later in the afternoon and just take a look around and see what we could find and we came back with quite a bit! I prefer to get the CVS freebies, some cheap movies from Walmart, and a few other deals. At this point the majority of my Christmas shopping is done so I'm basically just looking for things I don't want to pay full price for. We started off at Kohls where we picked up a toaster over for $5.26 after all discounts. Plus we are going to get a rebate which makes it a money maker! CVS! Always my favorite on Black Friday because there are so many free items after ECB's. Here's what I picked up for free/cheap: toothpaste, lysol wipes, pantyliners, canned veggies, candy, toothbrushes, mascara, batteries, and gum. We headed off to Walmart next and picked up a ton of DVDs. I also grabbed a sweatshirt that was only $9. Target was next on our list and I picked up The Red Queen book for only $5. We also stopped in Old Navy where I picked up pants for work at 50% off. Basically we were exhausted after this excursion but were very happy with the amazing deals we got! Did you go out Black Friday shopping?